› Where: Artistic Civic Theatre, 907 Gaston St. Dalton, Ga. The adventures of Mark Twain's irrepressible Huckleberry Finn and his partner in crime, Tom Sawyer, will be brought to life in the musical "Big River: The Adventures of Huckleberry Finn," which opens Thursday, Oct. 25, in Dalton, Georgia. Artistic Civic Theatre will present the Tony Award-winning musical in seven performances. Christian Smith is cast in the title role of Huck Finn and Cole Cooper plays his pal, Tom. Country star Roger Miller wrote the music and lyrics to "Big River," with book by William Hauptman. 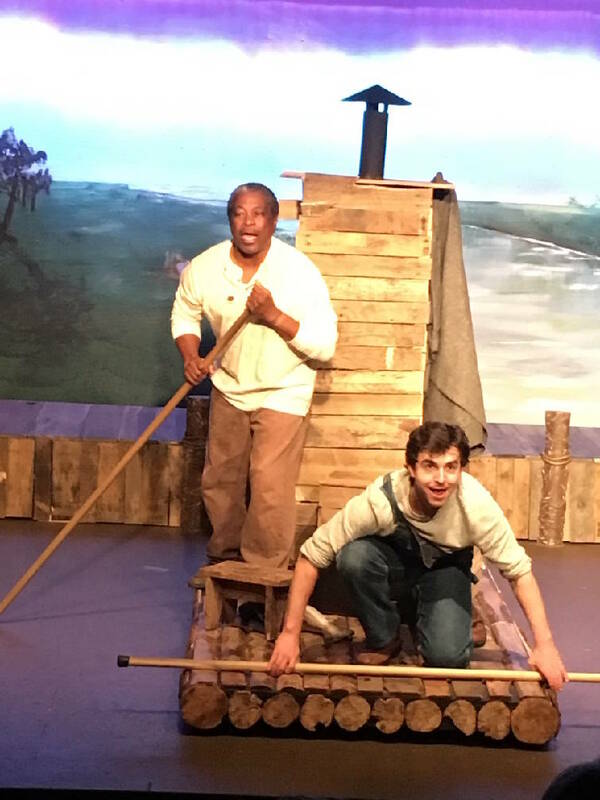 Based on Mark Twain's classic 1884 novel, "Adventures of Huckleberry Finn," the stage production features bluegrass and country music to complement the rural setting. The original Broadway production of "Big River" won seven Tony Awards in 1985, among them Best Musical, Best Book and Best Original Score. The musical also won nine Drama Desk Awards that year. Twain's timeless tale finds Huck helping his friend, Jim, a slave (played by Tommy Pinson), escape to freedom. Their adventures along the way are hilarious, suspenseful and heartwarming, bringing to life these favorite characters from the novel. "Mark Twain was incredibly ahead of his time by giving Huck the understanding of friendship beyond consideration of race, which is still relevant and uplifting today," says Smith. "The fact that the music was written by the late, great Roger Miller is just icing on the cake. I'm positive this incredibly talented cast and I will give a presentation that will lay a lasting impression on our audience," the actor adds. The score is filled with memorable numbers such as "Muddy Water" and "River in the Rain," duets by Huck and Jim as they raft the Mississippi River; and "Do You Wanna Go to Heaven," the humorous song in which Huck is told he has to learn to write and read the Bible if he wants to have any hope of ever getting into heaven. The cast of more than two dozen is directed by Heather Burton. Musical director is Ward Satterfield. "My favorite part of this story is just how universal the themes are while, on the surface, being a solely American story that has cemented itself in the heart of American literature," says Cooper.